The busy weekend was now behind us. 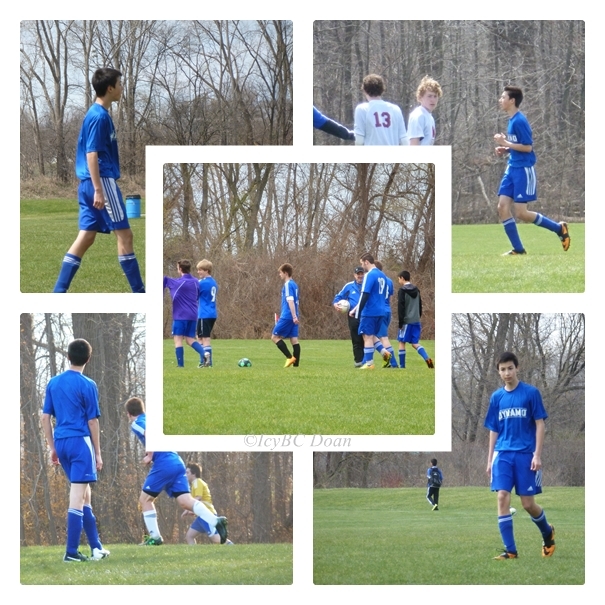 JoJo had two games on Saturday night with his indoor teams and two games on Sunday with his outdoor travel team. We drove from one end of town across another one, and then ran home in between games for JoJo to get another pair of soccer cleat as the one he wore separating at the sole. Yea, they don't make shoes that lasted more than a year anymore. 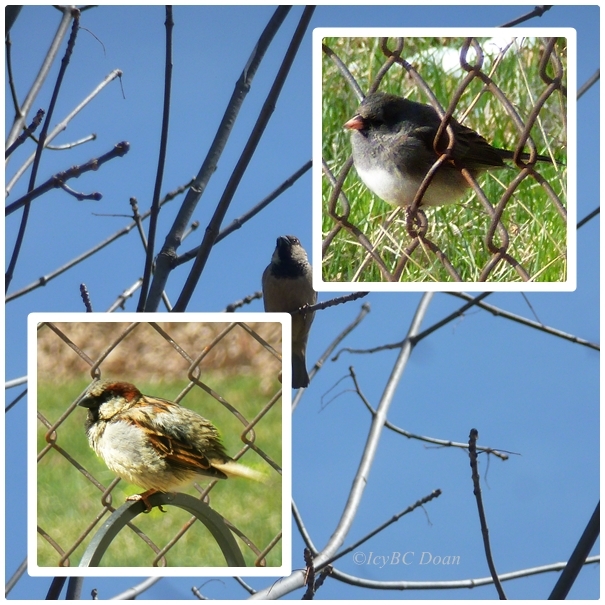 All I have around here is sparrows or just small birds. Haven't seen the hawk around for about a month now. Cardinals and bluejays are in hiding even though I can hear them. The threat of rain lingers over us for many days. It is spring, but doesn't feel like spring with chilly temperature in the 30s. 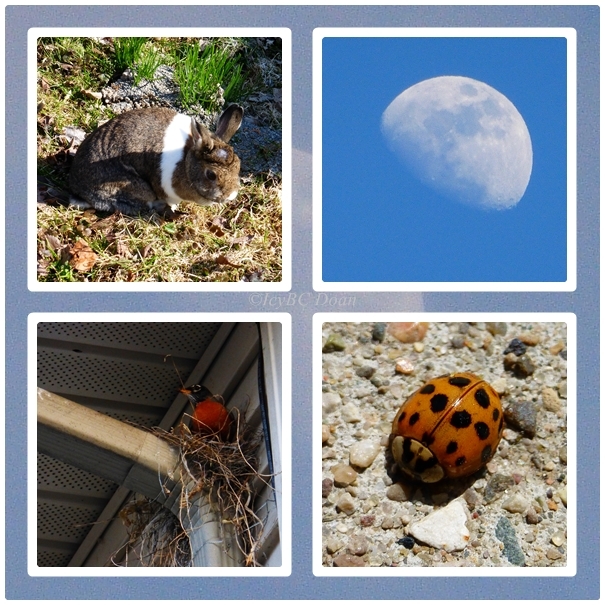 Just some random pictures I took when the weather permits. The robins have been trying to build their nest at this same location without success. Strong wind blew it off twice this year already, but they are in the process of rebuilding it again. Spotted my first mourning cloak butterfly in the yard last week! He/she was soaking up the sun and didn't really mind my present as I tried to stay still and behind it. The temperature at this time of year is just gorgeous. It reaches 75 degree yesterday, and the daffodils are loving the sunshine. Within a day, these daffodils bloom. I spotted this woodpecker couple in the front yard while doing chores. Of course I had to stop and watch them courting each other. 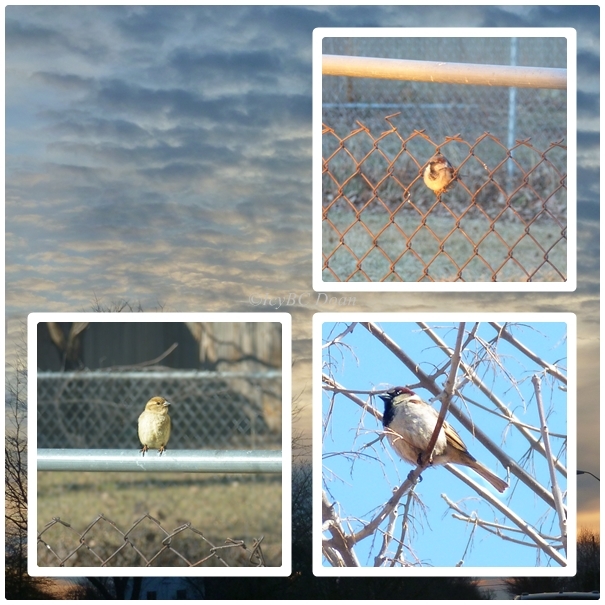 There are signs of spring around my area. Daffodils are coming in the neighbor's yard! They grew so fast every day despite the temperature. I spotted this woodpecker in the neighbor's yard after a long winter. They barely came to my feeder when it was so cold.